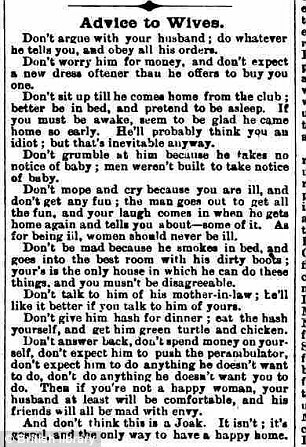 Most advice columnists from the 19th and 20th century clearly didn&apos;t seem to give a damn. But before feminists stormed the offices of the Ladies Home Journal on March 18th, 1970, demanding that the women&apos;s magazine actually make content for women by women, most newspapers and magazines spoke to women in a way that was universally more dictatorial, patronizing, and, well, just plain sexist. 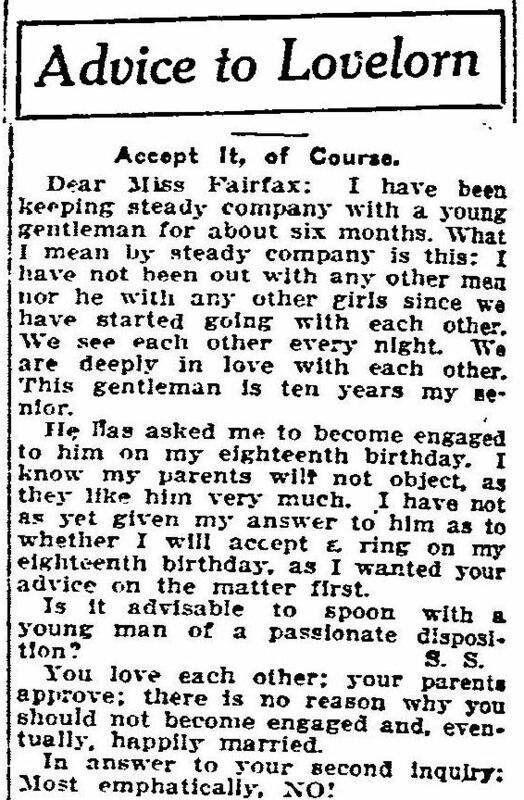 This attitude was perhaps best exemplified by advice columns, which instructed women that it was their moral imperative to be submissive to their husbands. Aeon Magazine&apos;s Rebecca Onion&apos;s history of the Ladies Home Journal&apos;s evolution examines how women&apos;s advice columns have changed in relation to the rise of feminism, taking the Journal&apos;s advice column, "Can This Marriage Be Saved?" as a case study. Columns in the &apos;50s and &apos;60s were horrifying not simply because of the awfulness of the husbands, Onion writes, but by the responses from the columnists themselves. Mic did a little investigation of its own into this outdated world, and what we found was quite telling. Take a look at a handful of columns that made it to print, and then think about all that feminism has accomplished in terms of the respect women have fought for and won since the mid-20th century. Women&apos;s advice columns have changed dramatically since feminists took over the editorial offices of the Ladies Home Journal. Instead of being told how to act in ways that suit men best, women are given advice about how to take care of themselves, first. Ask Polly, Dear Prudence, and Dear Sugar — not to mention the entire Huffington Post Divorce section — are just a handful of columns with this objective. Take this entry from Ask Polly, for example, responding to a woman who&apos;s boyfriend called her ugly. "The whole statement &apos;Many girls are much hotter than you,&apos; is at once completely accurate for every woman alive," the columnist noted, "including your lower-rung Gisele Bündchens, and also totally inaccurate, because the so-called &apos;hottest&apos; are, in many cases, humans who&apos;ve been sanded and sculpted and airbrushed into shapes and forms so common and bland they might as well be a hologram." 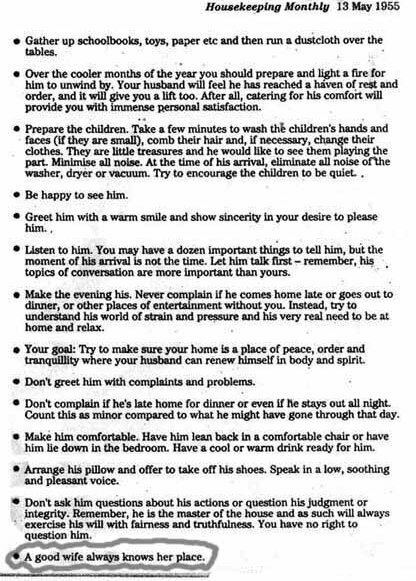 The difference between advice styles, post-70s feminism, is startling, and reinforces the notion that women are respected as independent people instead of objects in the service of men. The shift in focus, with the attention given to women themselves, therefore speaks volumes about feminism&apos;s success. But that doesn&apos;t mean there&apos;s not more work to be done. Having a healthy appreciation of feminism&apos;s historical accomplishments serves not so much an opportunity to pat ourselves on the back as it does to push us further in the pursuit of gender equality. As Rebecca Onion noted for Aeon, "We&apos;re getting somewhere, but we&apos;re not there yet."